The innovation of the ICO industry creates an extremely colourful and unique landscape: Avid Investors are flocking to the industry in hopes of sharing a piece of the booming market (>5565% $ growth from Q1 2017 to Q1 2018), and companies are turning towards ICOs en masse to fund their projects(>30 ICOs launching/day in 2017). But in an environment in which just about anyone can create their own ICO, and in which there can be a clear incentive for sellers to not disclose or lie about their product, there arises a problem of adverse selection. We’ve mentioned in our previous blogs that investors are faced with problems to accurately assess the quality of an ICO due to the time it takes to collect information about companies. This asymmetry of information creates an interesting situation for all parties involved; a tale best described through George Akerlof’s paper: “The Market for Lemons: Quality Uncertainty and the Market Mechanism”. Signalling: is the idea that one party credibly conveys some information about itself to another party. In his paper the idea is conveyed that a third party can be used to reassure buyers of the quality of the goods (e.g: a diploma for work/academic experience). 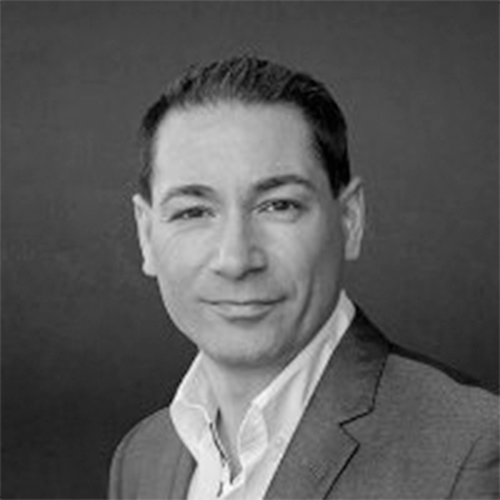 In the case of ICOs, the use of advisors, play the role of third-party to signal the reputation of ICOs; an advisor can put his reputation on the line to signal investors that the team he is backing has potential and is not a “lemon”. This serves as a way to negate some of the information asymmetry that would otherwise occur. Advisors – The Lemon’s Lemonade. 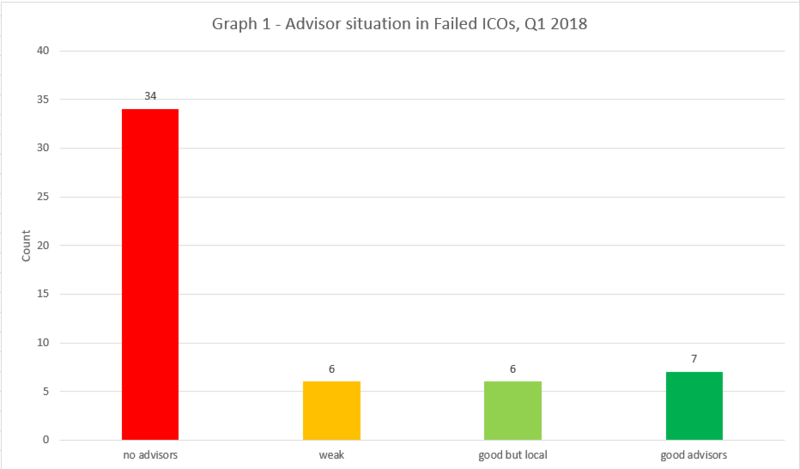 When we looked at ICOs that failed to raise capital in Q1 of 2018 to understand a common trend for their failure, it was found that a common factor was the lack/weakness of advisors in those teams; a factor we identified as key to help distinguish the quality of ICOs. When advisors play a key role at signalling the value, credibility and quality of a project, it should come to no surprise that teams that lack advisors fail to raise capital for their ICOs. Following the concept of adverse selection being mitigated through the use of signaling, it is believed that a world-class advisor will be able to easily attract investors to the projects he/she backs-up. Former CFO of Deutsche Bank, A.G.; senior advisor to Ernst & Young on EMEA. Advisors are a good way to determine the quality of an ICO because they mitigate the asymmetry of information for investors through signaling. Teams should place some effort on partnering with good advisors as they are able to consistently attract capital. It should come to no surprise that of was observed that a common trend in ICOs that were not able to raise capital was often because of the lack of advisor’s presence or choosing an advisor/ a team of advisors that provided no good expertise/added-value to the team. 53 companies were taken from tokendata.io from starting from April and going back to January. The data was collected using white paper and the websites of those projects. Wayback Machine was sometimes used to find the required information. “No advisors” signifies that no information on advisors was shared anywhere. “Weak” signifies that the advisors had no “added-expertise” to the project (e.g: a student counselor). “Good but local” signifies that the advisors provided good expertise to the team, but had no global reputation (e.g. : local professional). 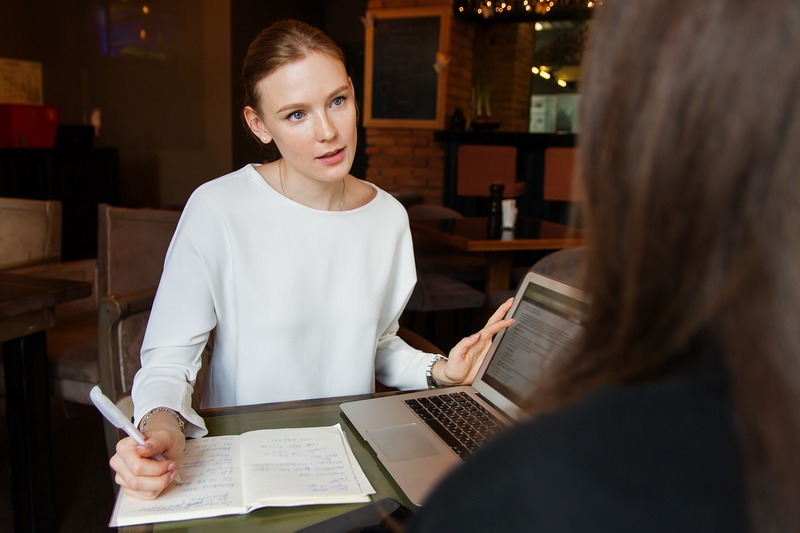 “Good Advisors” imply that the advisors had expertise in their field, and to an extent some reputation (e.g. a university professor. ).